Every year more and more tourists come to Majorca – mostly in the high season in July / August for beach, swimming or party holidays. But many feel deterred by mass tourism and avoid the island in the summer. Every year more and more tourists come to Majorca – mostly in the high season in July / August for beach, swimming or party holidays. But many feel deterred by mass tourism and avoid the island in the summer. How about exploring the Balearic Island in spring? In February, Mallorca presents itself from one of its most beautiful sides: the Mallorcan landscape shines with almond blossom in a unique white. The almond has a very special meaning in Mallorca. It has been widely cultivated on the island since the second half of the nineteenth century, after phylloxera destroyed domestic wine production and the inhabitants had to resort to another crop. Almonds are still a valuable export product of Mallorca today. From pastries and cakes to cosmetics, to perfumes and soaps, the island offers a variety of sweet-almond flavoured products. The trees in full bloom attract tourists looking for tranquility and stunning vistas of the landscape on the popular island in the Mediterranean. Then Mallorca is not overrun by hordes of tourists and delights with many hours of sunshine and pleasant temperatures between 15 and 20 degrees – in contrast to the mostly wet-gray and cold winter in Germany. Thanks to the numerous flights, you can get to the island quickly and easily at almost any time of the year. Some tour operators also have special trips to the almond blossom in their programs. 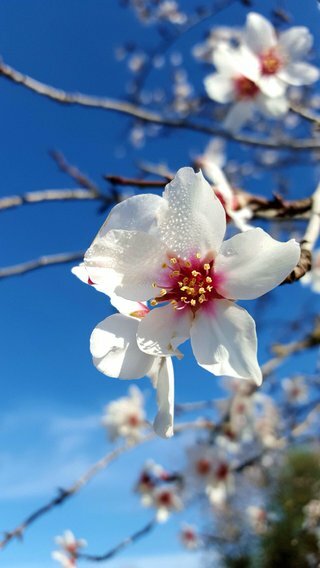 The almond blossom usually begins in late January, reaching its peak in mid-February and ending in early March. 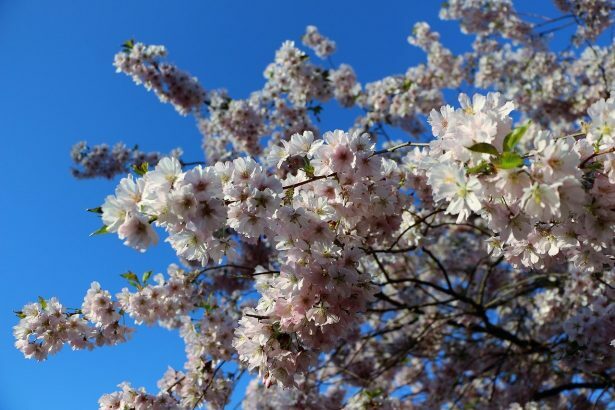 The flowering of the almond trees starts on the east coast of the island, i.e. around Porto Cristo. It begins a little later inland. But it is there where you find many plantations where the trees are closer together. Amateur photographers will find particularly beautiful motifs there. The route from the capital Palma to Valldemossa in the north of the island is also often recommended. The best way is by rental car. If you drive a cabriolet you only need to follow your nose and can be enchanted by the beguiling almond scent. For those who still have not have enough, Son Servere offers an almonds festival every year, the “Fira de la Flor d’Ametler”. This traditionally takes place on the second Sunday in February. Everything revolves around the almond. You will not only find many delicious almond dishes such as the well-known gató almond cake, almond liqueurs and almond cheese, but also a traditional Majorcan program. In this way you will get to know the culture of the Balearic island in an authentic way and definitely love it.